Baccharis pilularis is native to the lower elevations of California, primarily in Coastal areas below 2000 feet elevation. 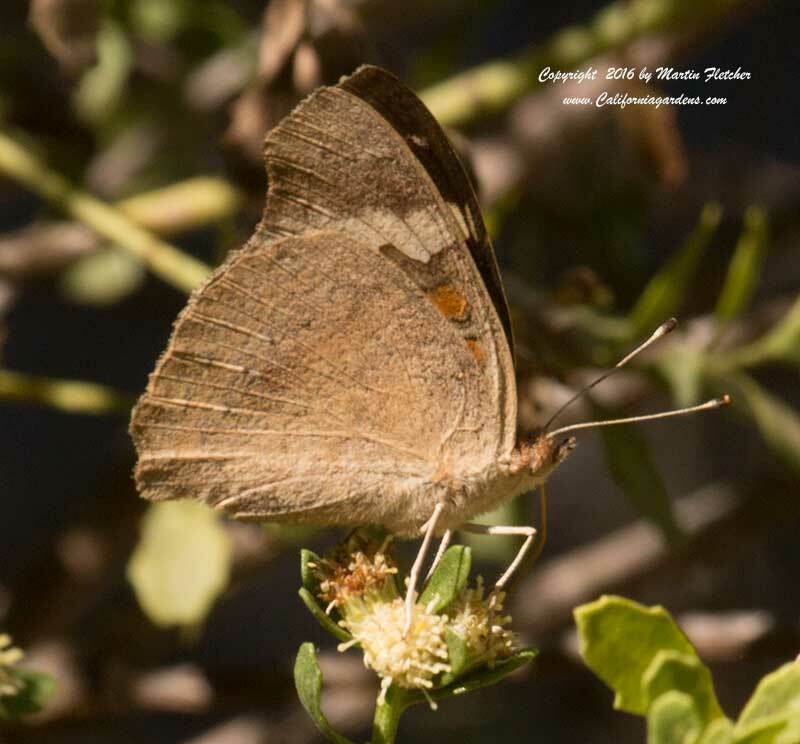 Coyote Brush provides food and great cover for a variety of butterflies and birds including this Yellow Rumped Warbler, the Monarch Butterfly, and the Common Buckeye Butterfly showing in the second image. There are a number of low growing varieties of Baccharis pilularis including Twin Peaks and Pigeon Point. The low growing forms are often recommended for fire-scapes. Baccharis pilularis will grow on a variety of soil types including clay. After several years the older branches start to die back. Baccharis pilularis responds well to hard pruning when this happens and usually the Coyote Brush rapidly fills back in. Baccharis pilularis is Winter hardy into the low teens. 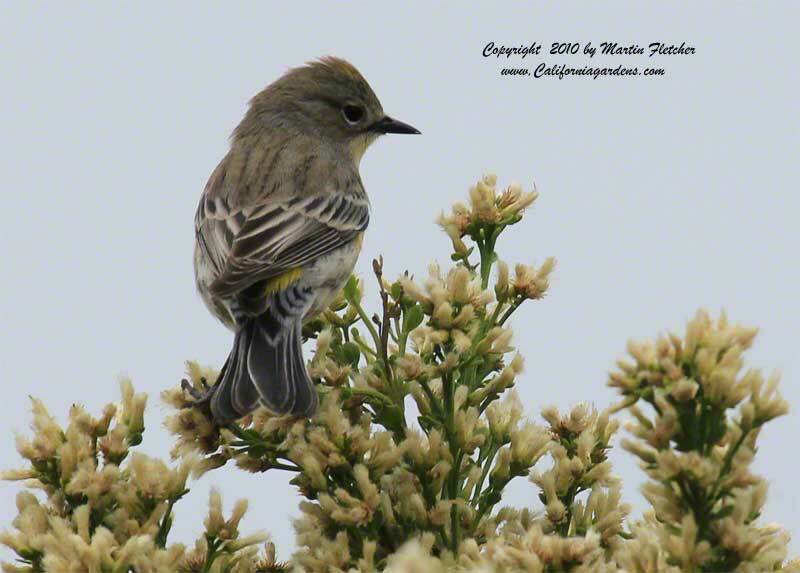 Yellow Rumped Warbler on Bacharis pilularis the Coyote Brush. High resolution photos are part of our garden image collection. Common Buckeye Butterfly nectaring on Bacharis pilularis flowers.